Curriculum- It’s what children do! We plan our curriculum based on the HighScope Key Developmental Indicators (KDI’s). They include the following eight content areas. For descriptions of particular kinds of play, click on the downloadable flyers for each area of interest below. Young children approach learning in different ways, each bringing a unique set of attitudes, habits, and preferences to their interactions and explorations. Our approaches to learning are the foundation that affects how children learn in every other content area. This foundation encompasses children’s engagement, motivation, and participation in the classroom. By understanding how to support this area of early development, adults can foster children’s creativity, curiosity, confidence, independence, initiative, and persistence as they carry out their intentions, solve problems, and engage in a variety of learning experiences. We believe children gain confidence when they have opportunities to try new things and experience success and failure in a supportive, inclusive environment. They learn independence when they have opportunities to practice self-help skills every day. And they develop empathy when they observe caring adults interacting with others and encouraging children to consider different perspectives. Click here for our Social Skills at GH flyer. We believe that children need to move for many reasons: to gain information about their world and objects in it; to burn off energy and relieve stress; to improve strength and coordination; to physically connect with others. Brain research shows that motor development is closely linked to brain development. Our job is to provide a safe, comfortable environment and challenging activities that will engage young bodies and minds. Click here for our Motor Skills at GH flyer. We believe the best way to support literacy development is to expose children to rich language and wordplay in context. We want children to find books irresistible! You will see plenty of print in our classrooms, because exposure to a print-rich environment at an early age is a predictor of later vocabulary skills. Click here for our Early Literacy At GH flyer. We believe the best way to support development of mathematical skills is to give young children concrete experiences with real objects that they can count, sort, group, and sequence. As they play, we provide tools and vocabulary to help them synthesize concepts such as size, shape, and quantity. Click here for our Math At GH flyer. We believe that the best creative art experiences for young children emphasize process over product. When children are able to express themselves creatively, they develop healthy self-esteem. Click here for our Creative Arts at GH flyer. 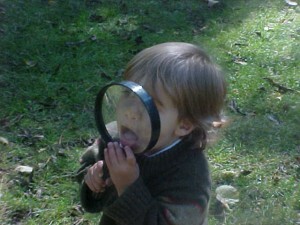 Children have an innate curiosity and desire to explore, question, and experiment. We believe the teacher’s role is to support the development of scientific reasoning and inquiry with positive interactions in the context of our natural environment and through the process of trial and error. Click here for our Science at GH flyer. Children learn about their social world from the moment of birth, and observing and interpreting group behavior in preschool is an important part of this. The early childhood classroom can be a perfect setting for acquiring the basic knowledge, skills, and attitudes children need to live as contributing citizens in a complex society. For more information about our approach to early learning, please visit our Philosophy page.